by Audrey Niffenegger | Literature & Fiction | This book has not been rated. Finally got my own copy, after taking part in Caro1's bookring! Will re-read this in preparation for the June Zurich Bookgroup. How does the 36yr old Henry know to come back to Claire? He says that he time travels to his past, to familiar places, but how does he know that Claire is important? What prompts the 36year old Henry to meet Claire? How does he write the list of dates for her? As the 28yr old, he takes the list, so is this it? Why does Henry keep meeting himself? - If we love someone, don't we always fear them leaving & having to wait? Henry travels back to Clare's childhood throughout the novel. "That's the thing that's potent for people, I think," says Niffenegger. "The idea of visiting your wife's childhood. That's a big, big thrill." Clare first meets a thirtysomething Henry as a six-year-old, when he falls naked into her favourite hiding spot on her family's estate. Part three is entitled 'A Treatise on Longing', a name that would work for the entire book. Clare spends her early adulthood waiting for the mysterious Henry who dropped in and out of the formative periods of her life, as he has told her that in the future they are married. And then, when she and Henry finally meet in Chicago and fall in love, she spends more time waiting. He suddenly disappears who knows where to return sometimes weeks later. She is like Penelope holding tight for the return of her Odysseus, her 'time travelling artist'. "That's actually what the title, for me, really means," she says. "The book itself is really about the marriage. Henry is not only married to Clare; he's also married to time." But if Henry is married to time, then Clare is time's widow, fated to live according to another's clock. Modern American life offers countless opportunities to burn serious cash, from the roulette tables of Las Vegas to the insider-dealing wasteland of the New York stock market, but nothing quite matches the quixotic financial futility that defines the business of publishing serious literary fiction in the twentyfirst century. It's not hard to get to the root of such fatalism. A mainstream culture that worships celebrity, and a publishing industry which seeks solace in the lowest common denominator, now means the New York Times bestsellers list is dominated by the likes of Ann Coulter, a right-wing shrew who equates liberalism with mental illness, and Dr Phil McGraw, a television loudmouth whose latest diet book, The Seven Keys to Weight Loss Freedom, has sold millions of copies, despite the irony presented by the author's tub-of-lard physique. Cowed by the success of such nonsense, the accountants who run most of the major publishing houses are loath to gamble on anything that strays beyond the narrow parameters of the fast buck. Hence, the increasing scarcity of serious literary fiction published in this, the land of Faulkner and Fitzgerald. This isn't to portray the United States in 2003 as a literary wasteland. There are pockets of resistance to be found in every corner of the American book industry - the publishers Knopf, Harcourt Brace and Little, Brown; writers such as Jonathan Franzen, Richard Russo and Michael Chabon; the hundreds of independent booksellers dotted across the country - but it's difficult to watch them swimming against the wider cultural tide and not wonder 'for how much longer?'. If the likes of David Poindexter have anything to do with it, the answer will be 'for ever'. All the more reason, therefore, to celebrate the debut of Macadam/Cage publishers on the Times's fiction bestseller list with Audrey Niffenegger's The Time Traveler's Wife, which will be published in the UK next month. 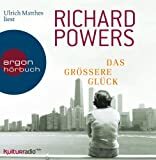 The book tells the story of a young couple in Chicago, Clare and Henry, whose relationship is complicated by the fact that he suffers from 'chrono-displacement disorder' - which means he is spontaneously transported from the present to the past and to the future. Niffenegger, an art professor at the Columbia College, Chicago, has written and published her own picture books since she was a teenager, usually in print runs of 10 copies. The Time Traveler's Wife started life as a title. Once she started work on the book itself, she realised it was impossible to tell the story in pictures and decided to write a traditional novel. It took her four and half years to complete. At its core Time Traveler's Wife is an old-fashioned love story. It's a terrific book, not least because of Niffenegger's startlingly original construction, but it is the story of how the book came to be published, and the impact its success has had on the company behind it, that has attracted a great deal of attention in the States. Since its publication in September, a tiny minority of American reviewers have been sniffy about Niffenegger's work, judging it to be too 'gimmicky', but overall it would be fair to describe the book as a publishing sensation. It has been on the bestseller lists of the NY Times, the LA Times and Publisher's Weekly; it has now been sold to publishers in 15 countries (the number increases by the week); it was the book of the month on America's biggest morning TV programme, The Today Show; Brad Pitt and Jennifer Aniston have bought the movie rights and a screenplay is currently being written. Over at Macadam/Cage, which has been publishing books by first-time nov elists like Niffenegger for five years without too much success, the hurricane is being felt to its full effect. Thankfully. The company publishes around 30 books every year, most of which are reviewed well, but sell a few thousand copies. Its biggest success, Ella Minnow Pea, by the playwright Mark Dunn, sold 30,000 copies. Poindexter's direct mail printing business subsides the publishing company. The book has also been a vindication of Macadam/ Cage's methods in searching out new talent. Every week, around 100 manuscripts arrive at the company's San Francisco office. All are guaranteed to be read, unlike the unsolicited manuscripts that go to the New York publishing houses. Anika Streitfeld, Niffenegger's editor at Macadam/ Cage, learnt her trade at Random House. 'Every couple of weeks or so, all of the editorial assistants would have a lunch in the office. We'd order pizza, open up the envelopes, slip in a form rejection letter and post them all back. The rule was we didn't read unsolicited material,' she recalls. Macadam/Cage isn't in a position to be so snobbish, even though - by Streitfeld's admission - most of the material sent to the company is 'hopeless'. Every once in a while, however, a jewel like The Time Traveler's Wife turns up. 'When I read it, I thought it was incredible. Right from the very beginning you feel like you are in capable hands, that this is someone who has a story to tell and who knows how to tell it. On one level Clare and Henry are ordinary people, but on another they are extraordinary,' she says. Macadam/Cage backed its advance with an extensive marketing drive, taking out adverts in the New York Times and New Yorker to promote the book - the type of spending the bigger houses reserve only for their stars. It also financed an extensive author tour, which ended up with Niffenegger sharing the bill in Toronto with Martin Amis ('I felt like I was opening for The Rolling Stones,' she says). The costs were offset by the sales of foreign rights to the book. 'Publishing a bestseller is like a maths equation. You just can't explain how it works, and you can't repeat it in exactly the same way. But if you have a good sense of the marketplace, and a little bit of luck, then you can make it work,' says Poindexter. Niffenegger has had no cause to regret her decision. Unsurprisingly, she has become something of an evangelist for small publishing companies over the past few months. 'One thing I have noticed is the relationship that people there have with an author is almost like a family relationship. They really take everything personally. With a bigger house I imagine it would be very easy to get forgotten about, particularly if there is no buzz or hype about your book. 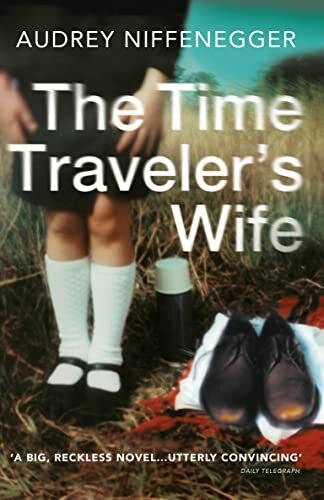 Guardian Review of "The Time Traveler's Wife"
Do you think Niffenegger is trying to get across any kind of message by playing with our linear sense of time in the way that she does? Did you have any problems with Henry and Clare's relationship? Are there any points in the story where you dislike either of their characters? What did you make of Niffenegger's unusual narrative structure? 'His forty-third year. His small time's end. His time - Who saw Infinity through the countless cracks in the blank skin of things, and died of it.'(A.S. Byatt, Possession, quoted on page 494). Consider Niffenegger's use of quotations and epigrams throughout the book. What do they add to the novel, and what do you find significant about this one in particular? To what extent do you believe in Henry's time travelling? Does it ever seem unconvincing to you, or do you think Niffenegger manages to keep us with her throughout? Henry and Clare know each other for years before they fall in love as adults. How does Clare cope with the knowledge that at a young age she knows that Henry is the man she will eventually marry? The Time Traveler's Wife is ultimately an enduring love story. 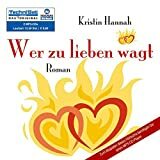 What trials and tribulations do Henry and Clare face that are the same as or different from other "normal" relationships?